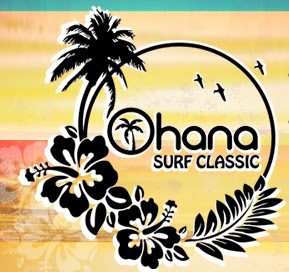 The Gymnastics Zone boys teams competed at the Ohana Surf Classic on February 5th at the Santa Cruz County Fairgrounds in Watsonville, hosted by Ohana Gymnastics of Santa Cruz. Gabriel Deeik – seventh on floor, second on pommel, seventh on rings, second on vault, second on parallel bars, fifth on high bar and third all-around with a score of 53.100. Eli Ewig – fifth on floor, sixth on pommel, fifth on rings, seventh on vault, seventh on parallel bars, sixth on high bar and seventh all-around with a score of 48.800. 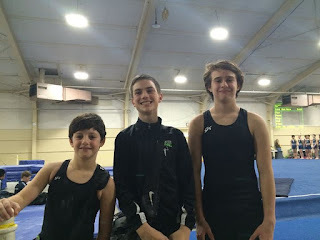 Bodey Denkin – first on floor, first on pommel, third on rings, first on vault, second on parallel bars, third on high bar and first all-around with a score of 55.600. 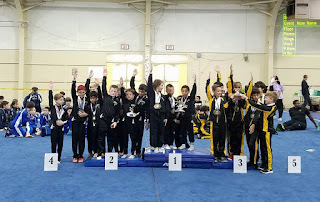 Orion Seal – second on floor, fourth on pommel, first on rings, third on vault, fourth on parallel bars, third on high bar and second all-around with a score of 55.400. Leonardo Deeik – fifth on floor, first on pommel, sixth on rings, sixth on vault, seventh on parallel bars, eighth on high bar and fourth all-around with a score of 51.000. Nicholas Boyd – ninth on floor, sixth on pommel, ninth on rings, fourth on vault, fifth on parallel bars, fifth on high bar and seventh all-around with a score of 49.200. 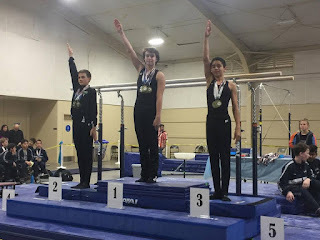 Landon Cummings – second on floor, third on pommel, third on rings, first on vault, second on parallel bars, fifth on high bar and third all-around with a score of 53.700. Logan Nations – eighth on floor, eighth on pommel, eighth on rings, eighth on vault, seventh on parallel bars, eighth on high bar and eighth all-around with a score of 44.500. 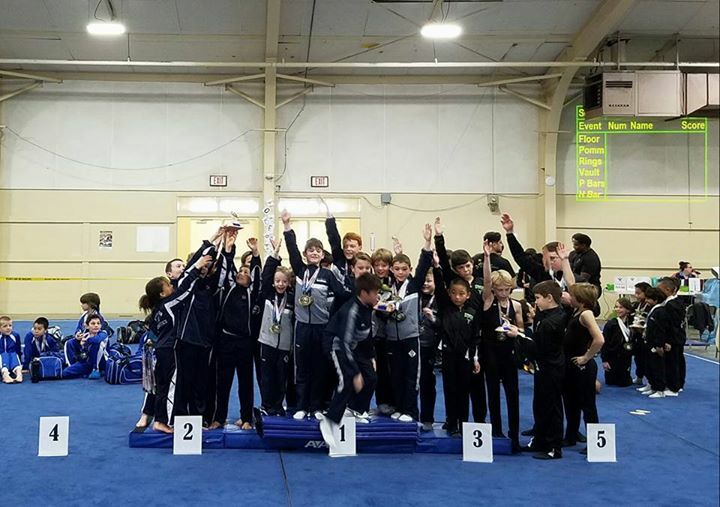 The Level 4 team placed second in the meet. Ethan Exum – eighth on pommel, fifth on vault, fourth on parallel bars, sixth on high bar and ninth all-around with a score of 52.700. Thomas Malloy – fifth on pommel, sixth on parallel bars, sixth on high bar and tenth all-around with a score of 52.300. Riley Grinnell – ninth on floor, eighth on pommel, ninth on rings, third on high bar and eleventh all-around with a score of 52.200. 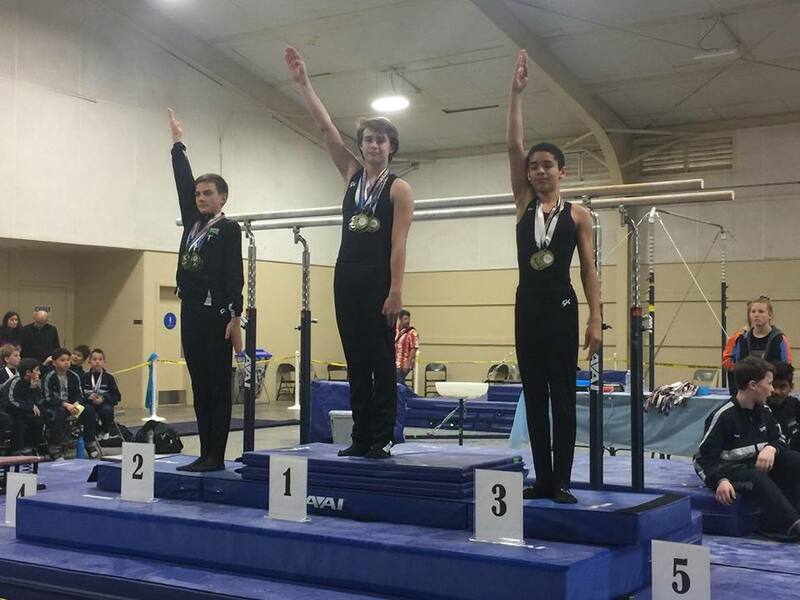 Mario Delanni – eighth on vault and thirteenth all-around with a score of 47.700. Emilio Delanni – third on floor, fifth on vault, fifth on parallel bars, first on high bar (with a 10.000) and seventh all-around with a 53.600. Matthew Payne – thirteenth all-around with a score of 44.000. The Level 5 team placed third in the meet. Petar Zivkovic – seventh on floor, second on pommel, fourth on rings, second on vault, fourth on parallel bars, seventh on high bar and sixth all-around with a score of 54.100. 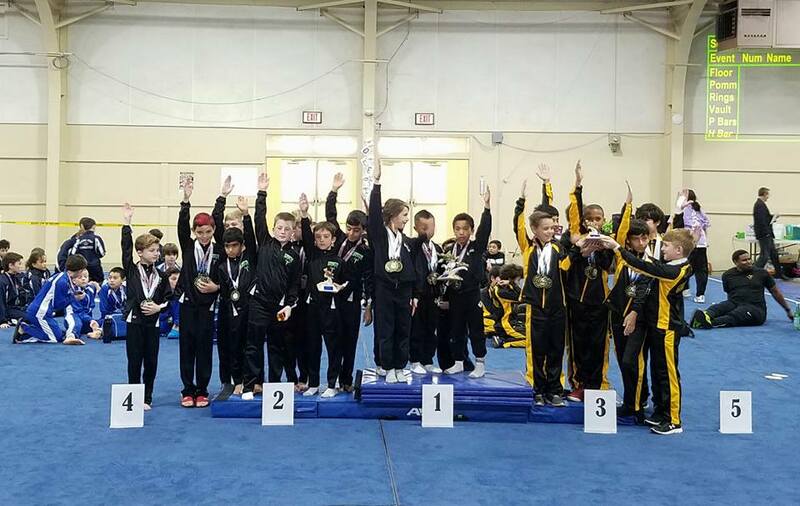 Noah Pack – first on floor, third on pommel, first on rings, fifth on vault, first on parallel bars, second on high bar and first all-around with a score of 55.700. Lukas Rieken – second on floor, first on pommel, third on rings, first on vault, fifth on parallel bars, third on high bar and second all-around with a score of 53.900. 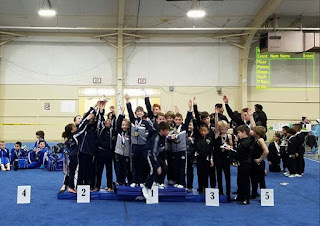 Liam Wallace Harper – fourth on floor, first on pommel, sixth on rings, fourth on vault, fourth on parallel bars, fourth on high bar and third all-around with as score of 52.000. The Level 6 team placed second in the meet. The boy’s team will compete next on February 18th and 19th at the Top-Flight Invitational hosted by Top Flight Gymnastics in Fremont.